Biologically inspired design is an increasingly popular design paradigm. Biologically inspired design differs from many traditional case-based reasoning tasks because it employs cross-domain analogies. The wide differences in biological source cases and technological target problems present challenges for determining what would make good or useful schemes for case representation, indexing, and adaptation. In this paper, we provide an information-processing analysis of biologically inspired design, a scheme for representing knowledge of designs of biological systems, and a computational technique for automatic indexing and retrieval of biological analogues of engineering problems. 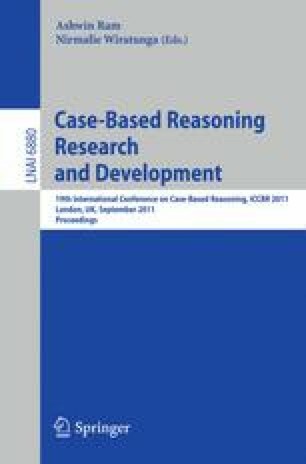 Our results highlight some important issues that a case-based reasoning system must overcome to succeed in supporting biologically inspired design.